KYB AGX-743019 - KYB AGX Adjustable Shock Rear Firebird V8 / V6; 1993-2002. 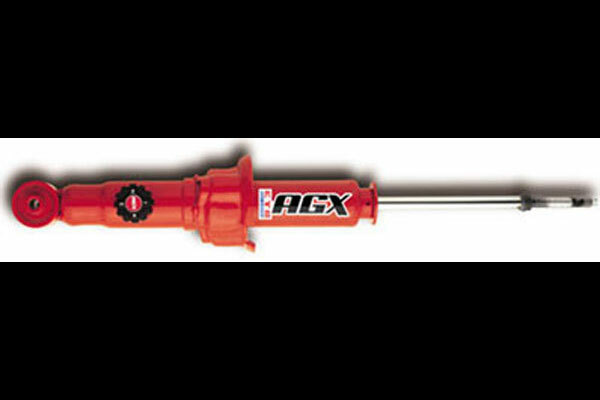 AGX Adjustable Gas Shocks and Strut Cartridges are for the driving enthusiast who owns a sports compact, sports coupe or sports car. KYB AGX shock absorbers allow easy adjustment of the shock damping rate to tune the vehicle’s performance to meet the needs of the street, strip or track. KYB AGX Adjustable Gas shock absorbers are externally adjustable, so there is no need to disconnect or remove anything to change settings. Depending on the vehicle’s configuration, the damping rate is selected with an external knob on the side of the shock body or through a screwdriver inserted into a slot at the top of the strut’s piston rod. The KYB AGX shock absorber’s single damping adjustment changes the shock’s compression and rebound resistance at once. When you want adjustable high performance control, you want KYB AGX Adjustable Gas shock absorbers. Fits Camaro and Firebird Models. History and information about KYB and their products. KYB can trace its history back to 1919 when it began as the KAYABA RESEARCH CENTER in Japan, then KYB went on to manufacture hydraulic dampers and became known as the KAYABA MANUFACTURING COMPANY and ultimately became a presence in the United States in 1974 when KYB established sales in the U.S., and KYB currently has two facilities in Indiana, a warehouse and a manufacturing facility. KYB struts and shocks have become a vanguard in the industry and their dedication to quality products has paid off because they are the world’s largest supplier of original equipment and aftermarket shocks and struts. KYB is represented in twenty-one countries with over ten thousand employees worldwide. KYB can come to your rescue if you have experienced increased bounce when you hit the brakes or if you hear a noise when you brake. 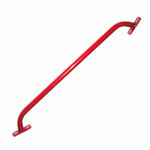 Or you may simply want to improve your car’s handling and stability with KYB struts or shocks. Shocks that are terrific for highway driving might not do well off-road or on the track and for this reason KYB took on this challenge. Their team of engineering experts designed AGX adjustable shocks that are ideal for the import sport driver and the high-performance aficionado who wants to drive on a multiplicity of terrains. KYB adjustable shocks are designed to give you the ability to adjust damping and you will realize unparalleled handling whether you are driving to work or cruising around the track, and the adjustment can be done easily with four to eight damping rates available for your choosing and, best of all, you will not have to remove any components or recompress any springs— and it can’t get any simpler than that. You can find KYB Adjustable AGX shocks for your Pontiac Firebird, Pontiac Grand Prix and Chevrolet Camaro on our website. Another great choice from KYB is the GR-2/Excel-G Gas shocks available on the LMPERFORMANCE website for your Chevrolet Monte Carlo or Pontiac SUNFIRE or the GR-12/Excel Gas shocks for your Pontiac Grand Prix. Our selection of KYB struts and KYB adjustable shocks provide inimitable handling with a patented check valve that reduces foaming and aeration to provide a great ride even when the conditions are less than ideal. Below are other popular parts other customers have purchased for their Pontiac Firebird.